It's that time of year again - early migration in Cape May. 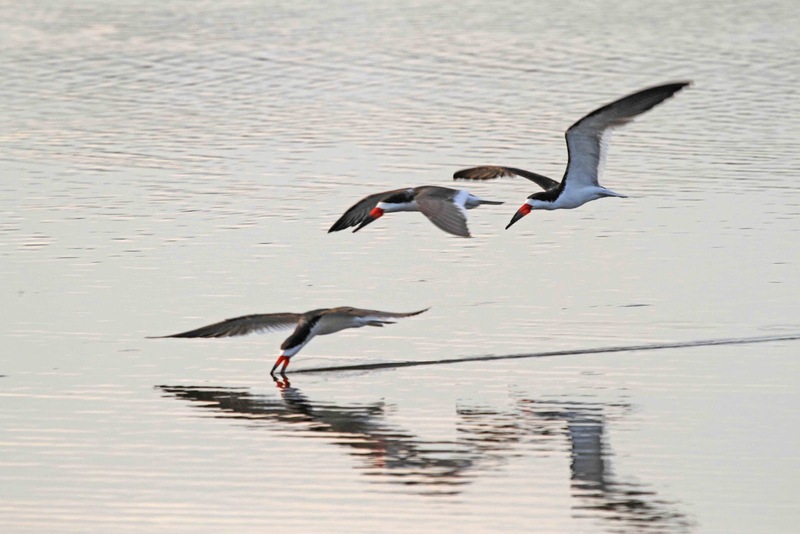 Late August is the time of year that we get to see the return of our shorebird friends as I told you about last week. It's also the time of year that warblers start to head south for the winter. And, it's the time of year that relatives start to panic about the end of the summer and visit us at the shore before it's too late. That's what happened this week with Deb, Jay, Meaghan and Brendan. The kids start back to college and school next week, so they took the opportunity to spend a few days in the Villas. Brendan and I got the chance to go birding before dinner on Monday and were rewarded with quite a good list and also met some nice people along the way. We met a guy who lives in Cameron County PA and volunteers at the Elk visitor center - yes, there are Elk in Pennsylvania; and an older lady who recently lost her eyesight in one eye, so she was happy to talk to us about her bird feeder and other birding adventures of her youth; and a family who had 5 sons all under the age of 10 who were dressed alike for the cheesy beach photo. The boys were really excited to look through my binoculars at the Mute Swans and ducks. Each one of the exclaimed that they could see the swan! 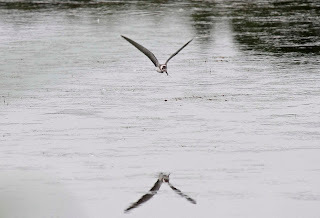 In August, we also get interesting terns like these Black Terns which usually spend their time on freshwater lakes up in Nebraska and Alberta and places like that. Each year, a few show up in Cape May for some reason. 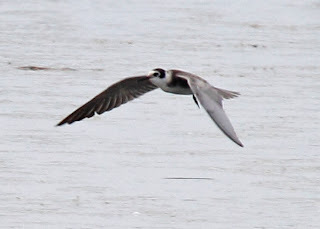 This year, there have been reports of up to 31 Black Terns flying around the Concrete Ship and the Lighthouse. Brendan and I were fortunate enough to watch these 2 flying around Bunker Pond in front of the Lighthouse on Monday night. 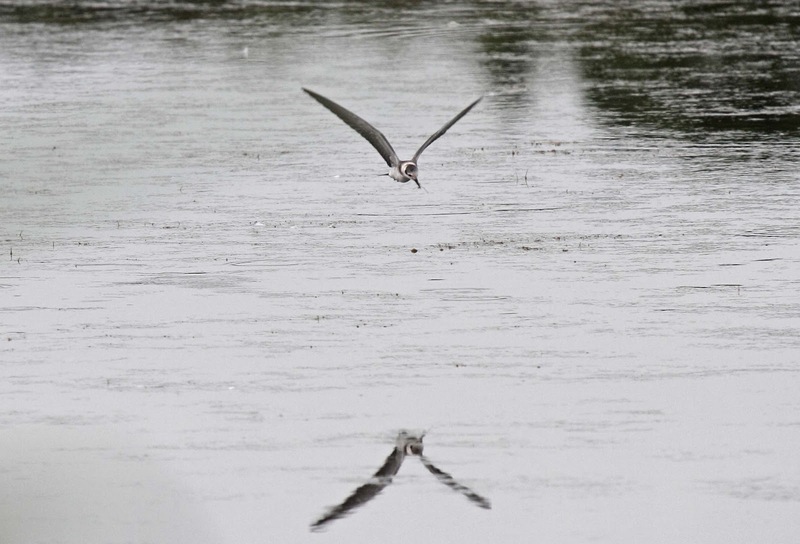 These terns are really small and unmistakable to identify by the overall dark color. Black Tern close-up. Not a great photo, but it shows the black and gray markings. Black Tern spitting something out of his mouth. 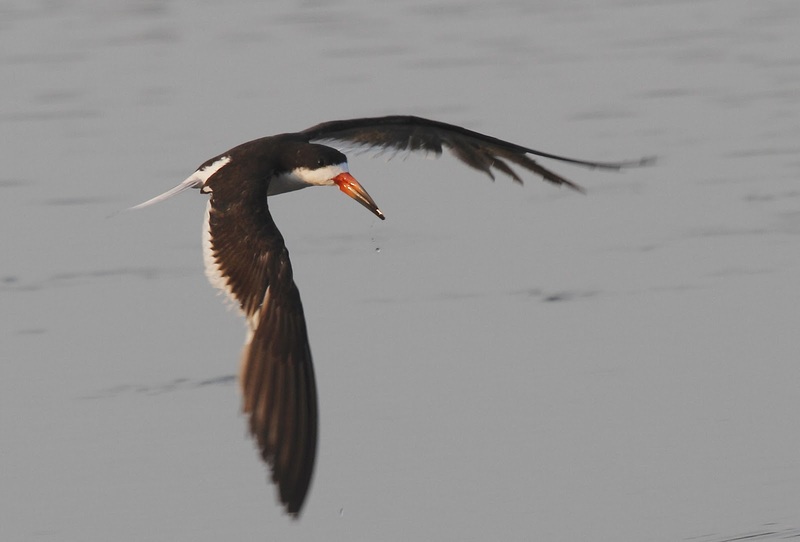 The Black Terns were a bonus find, but the real show was put on by the Black Skimmers! We heard them before we could see them on the pond - "yipping" like dogs. Honestly, it sounds like a pond full of puppies with them yipping away at each other. The old lady with the reduced vision was enjoying the barks for sure. 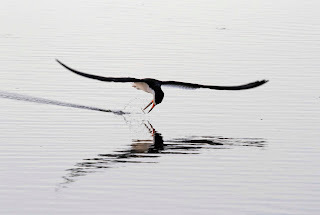 This is why they call them "Skimmers"
Great post. I love the stories about the people you met along the way. I'm sure Brendan had a great time with Aunt Linda. 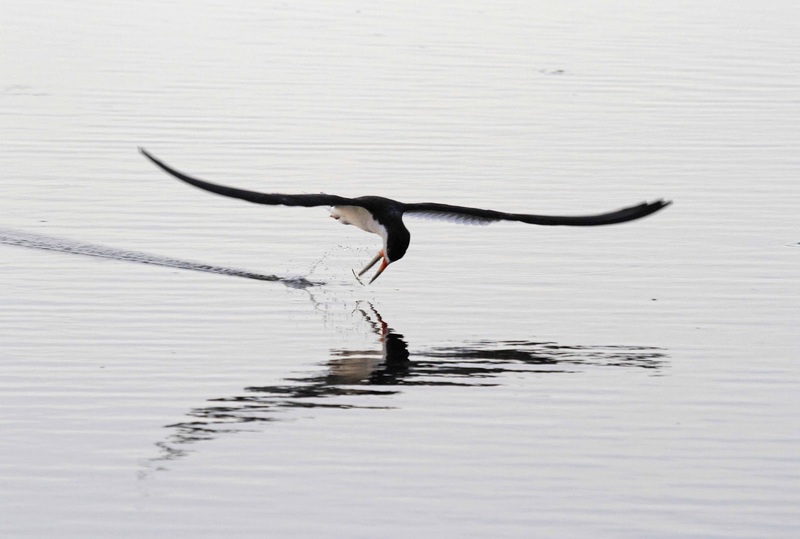 Really great photo of the skimmer, with the drops of water falling from his mouth. Also love the shot of the one who ditched the stick. The skimmers were spectacular. You do really nice work. You should really do something with your writing and photography.